These multiple blogposts, “So You Want to Adopt a Deaf Child?”, are being written to try to better prepare a hearing family, for adopting a deaf child. Rarely are these things ever considered when a family says yes to adopt a child with a hearing loss. The increasing number of deaf adopted children being released for the adoption by a 2nd family is one of the reasons for these blogposts. This is the 7th in the series. To be linked with the other posts in the series, start here. 95% of deaf children are born to and/or are raised by hearing parents, who probably have never met a Deaf person in their life. So they have some excuse for their not knowing all these things when they are suddenly confronted with raising a child that experiences deafness. However, if you have decided your family is prepared to adopt, and the best option to adopt a child with deafness, this is one of the things you need to be prepared to accept. Just in case no one has told you or you have not thought of this yourself. First, here is another little known fact, among hearing people, that still boggles my mind. Less than 10% of those parents who give birth to and/or are raising deaf children, here in the US, ever learn to sign with them. That statement shocks me every time I read it, hear it! These numbers are coming from schools for the Deaf around the country, so these are hearing families who have accepted the fact their deaf children should be educated in a sign language-rich environment, YET they are not willing to learn that language to grant them good, strong communication, with their deaf child. That fact is beyond my comprehension! Through the years, hearing parents of deaf children–this is after their deaf children have become adults–have confided to me two things, consistently. One, they so wish they had learned to sign with their deaf children when they were young. And two, others tell me they regret not allowing their deaf children to learn to sign when they were children, as many do not learn ASL until college-age. They realize how this has ostracized their children in both the hearing and the Deaf worlds. By the way, these are not questions I pose to these family members, but simply conversations parents initiate with me…the interpreter. Unless your family is already attending a church where there is an established Deaf Ministry, this will most likely be an area of great struggle, frustration, and disappointment for you and your family, once you adopt a deaf child. It is very possibly your family will have to seek out another church. The only problem is, there are very few churches, across this country, doing a really good job of reaching out to the Deaf, through ASL interpreted services or with Deaf-led services. 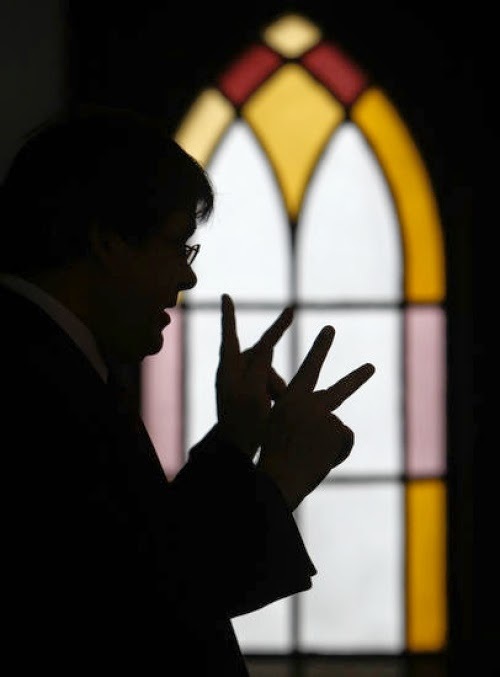 In the largest cities, where the concentration of the Deaf population is much greater, there are few thriving Deaf Ministries (most often hearing-led by ASL interpreters and some with Deaf leaders) and even fewer Deaf Churches, where the pastor himself is Deaf. 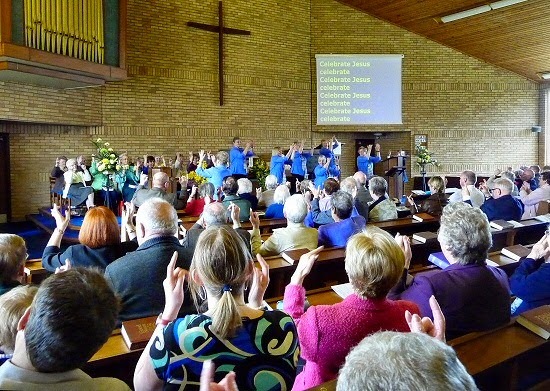 Once you begin to learn about the Deaf Affinity Group, the group of people who identify themselves as Deaf living around the world, a subculture of every hearing-culture, you will quickly be confronted with the fact that less than 2% of all Deaf people know of and/or follow Jesus Christ. That is true right here in our own US of A. This fact puts them in the top three unreached people groups around the world. Think that through for just a moment. Try to think about how this could impact your adopted deaf child and your family throughout your adoption journey, which is life-long and will actually reach into the next generation. For example, if you have dreams of your adopted deaf son or daughter growing up and easily finding and marrying another Deaf person, who is a follower of Christ, think again. You do think about your deaf child growing up and becoming all God desires for him/her to be, don’t you? Allow me to share a little Deaf Culture with you. 1) Deaf people tend to feel only other Deaf people can truly identify with them on a deeper level through their language of ASL and their shared experiences, growing up in a hearing family that never learned to converse with them,. They feel the bond they can have with each other is much stronger when they marry another Deaf person. This often comes from their life experiences of hearing family members rarely sharing details of their family’s spoken conversations, everyday. 2) Deaf people would marry other Deaf people so they could keep their precious ASL and Deaf culture more pure. 3) Many years ago, it was thought if a hearing person married a deaf person their deafness was contagious and it would spread. So, intermarrying was taboo, for most hearing people, at least for a time. Let me help you think through some reasons why it is hard for an all hearing church to embrace the adopted deaf child of even one of their own? 1) More than likely, no one in your congregation knows sign language or has any idea about the culture of the Deaf. I know it may be a few years before your deaf child can communicate well via sign language, but when he/she does others need to be ready to converse with them. If no one at the church can communicate with your deaf child, you can be assured there will be behavior issues to deal with on a regular basis.Pairing your deaf child with a “buddy” who knows sign language, to some extent, could help reduce those frustrations for a time. The vast differences in these two cultures, Deaf and hearing, will take someone who is passionate about the Deaf a life time of willingness to learn. 2) Deaf children have an uncanny ability to make noise at the most inopportune and embarrassing times. You think this will be an easy fix? Think again. Since deaf children, often do not even know what makes sound and they cannot hear those sounds, they have no idea they are causing a disturbance to the hearing people around them. Granted sometimes they do begin to do this just to annoy hearing people, but this is something deaf children and their parents deal with for many years. These continual disturbances are not well tolerated by most hearing people and it will not take long for someone to tell you so. Be assured, it is not only the Deaf who are being excluded from our churches, but all those who are not “normal” experience this oppression from the very ones that should embrace them with open arms. Here is a recent article about how few churches, in America, are reaching anyone with a disability, The Church and Disability. 3) Hiring a qualified ASL interpreter for just your deaf child may not be well received by your church and often harder still, there may not be a local qualified interpreter willing to interpret on a regular basis. I dare say this is an area, where you will want the most qualified ASL interpreter who shares the same beliefs as does your family, to ensure the message for your deaf son or daughter is clear. Again, this is not an easy find. In addition, fees for qualified ASL interpreters, especially on the weekend, can easily start at more than $50 per hour. I have read recent blog posts of families who are in the process of adopting a deaf child who mention how easy it would be for the adopting family who adopts a deaf child just to go ahead and start a Deaf Ministry in their own church. Let me just say, from more than 14 years experience of being involved with Deaf Ministry and learning from several others, mentors, who have been involved with Deaf Ministry for over 40 years, themselves, developing a Deaf Ministry is far from easy. Trust me when I say, you will already have your hands full if you adopt a deaf child, leaving no energy whatsoever to start and maintain a Deaf Ministry. 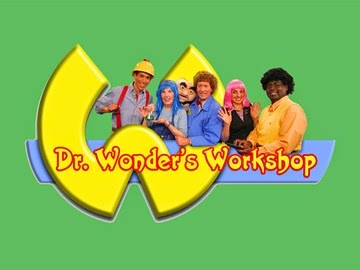 “Why is Deaf Ministry So Hard?” is a two part blog post shared by Marshall Lawrence–the hearing biological father of a deaf daughter, Rachel, founder of Silent Blessings Deaf Ministries and the children’s TV series performed by all Deaf actors, Dr. Wonder’s Workshop. To watch each episode in its entirety click here. Others say hearing mom and dad can easily begin interpreting at church for their deaf child once they are home. IF mom or dad are already trained ASL interpreters, that MIGHT be a possibility. If that does happen your church will no longer be a place for you to refresh, refuel and reconnect. You must keep in mind, casually signing in ASL and interpreting in ASL are two vastly different things. Conceptually accurate interpreting is a skill that requires many years of training and practice and should be shared with a team interpreter if the assignment is longer than say an hour of continuous interpreting with no breaks. Ideally, that time should be no more than 30 minutes. Again, your life will be full to overflowing by the adoption of your deaf child and interpreting at church will become an added burden not a service filled with joy. Some deaf adopted children are so embarrassed by being the only deaf person in their church and then having mom or dad interpret for them, drawing even more attention to them, especially if they are seated up front, becomes more than they can handle. If you have not given much thought to or prayed about the spiritual needs of your deaf child, please do. As I shared earlier, the Deaf are among the top unreached people groups around the world. Actually, this should be your main focus of prayer for your deaf son or daughter, in my opinion; to know and follow Christ with all their hearts, souls, minds, and strength. While their spiritual foundations must come from within their own homes, the place the family decides to corporately worship with other believers will ultimately greatly impact your deaf child, as well. One of the best resources available for reaching the hearts of all children for Christ is the National Center for Biblical Parenting. Check them out, today!